Located behind the Newtown Youth Academy in Newtown, CT there is now a Veterans Honor Garden honoring all branches of the military and those who have or are serving in US Armed Forces. The dedication ceremony participants included Newtown VFW Post 308, the Second Company Governors Horse Guard, the Connecticut Patriot Guard Riders, the Northern Fairfield County Blue Star Mothers, and Boy Scout Troop 370. 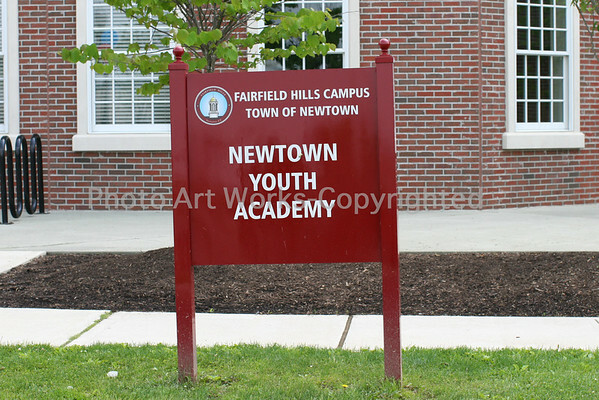 The garden is Newtown Youth Academy founder Peter D'Amico's concept. Since the tribute garden idea began, Mr D'Amico has promoted a campaign for residents to purchase brick pavers recognizing those in the service, past or present, that are placed within a walkway around the fountain. Featured speakers for the dedication were St Rose of Lima Church Reverend Monsignor Robert Weiss, Western Connecticut State University's Dr Christopher Kukk, Mr D'Amico, and Newtown First Selectman, Pat Llordra. Katie Cummings, a 2011 Newtown High School graduate, led those present in the national anthem. The garden design was coordinated by Brid Craddock, Brid Craddock Heirloom Gardens, LLC, and the construction was by Rob Manna, Jr, LRM Inc. Both are local Newtown businesses.